I just saw this video on Arron Chambers Blog. What if Mary and Joseph had Facebook to document the birth of Christ? It may have looked like this. Over a year ago, way back in 2009, I decided to start a Blog. Now I have never been a big writer. I have never sat down and said I feel like writing today. I haven’t even been one to follow a ton of popular trends, and I would say blogging is a popular trend. However, I saw it as a good way to share some of my thoughts about life, ministry, and other topics with my congregation and those who wanted to read them. For the first half of 2010 I would say I succeeded very well at this blogging thing, but then something happened. I have wrote several times that I do intend to continue blogging. I have even shared that I was working to recreate the blog. To be honest those were the thoughts in my mind at the time. What I really think it was … my well was dry. I had run out of ideas. Over the past several months I have done a poor job feeding myself. One of the things I have noticed in my life is when I am drained, dry, and even a little depressed, I am empty. There are two ways for me to recharge my batteries so to speak. The first is on the spiritual side. I love to listen to sermons. But not just any sermons. I love to listen to good preachers present the Word of God. I am a preacher. I am a trained preacher. I attended Bible College, and have a degree in Bible and Theology. I also have a minor in preaching. That means I have a decent grasp and understanding of scripture. I also have been trained in preaching styles and techniques. Because of that, when I listen to a sermon I struggle to hear what the preacher is preaching and I focus on his exegesis, his sermon structure, his delivery quality, and many other technical aspects. I have to listen to a good preacher who I can forget about those details and actually hear what he is saying. I hate that, but most preachers I know struggle with the same problems. Having said all that, there are good preachers out there that I can listen to and glean a lot of insight from. But I haven’t been feeding myself the way I should. Sometime over the summer I switched computers at home and have yet to sync my iPod with that new computer. Because of that, I haven’t put any new sermons on it. Now here at the office the church has purchased me a new computer. This new computer will allow me to have iTunes on it and allow it run while doing other things. I am excited to be able to listen to sermons once more. But the sermon thing isn’t my only let down. I read the Bible a lot. But a lot of what I read is in preparation for a lesson, sermon, or some sort of devotion. While I am reading the Word, I am not feasting on the Word. I am reading it to prepare for something, not reading it to transform my life. This is something I have been warned about for a very long time, even before I went to Bible college. And even though I have been warned about it, I have fallen into the same trap. Since I am not reading the Bible like I should, you can probably guess I am not having my prayer time with God the way I should. If that is what you did guess, then you would be correct. Isn’t it funny how all those things work together? God speaks to us through his Word (as well as other ways), but if we are not in his Word, then at times we can have nothing to share back with him. Its like the awkward silence you experience on the phone when no one has anything to say. Friends this is a great problem, and one I have to work to overcome. Earlier I said I recharge in several ways. The second way I recharge is by doing something with my hands. If I can't work on physical projects I can get somewhat depressed. I think this is one of the things that has always scared me about ministry. I love what I do. I love being able to teach the truth of Scripture and inspire people to live lives that glorify God. But in that there isn’t always a lot of physical work to be done. A lot of it is at a desk, reading, writing, and preparing lessons. A lot of it is talking with people about their spiritual condition, their struggles in marriage, or some health issue. A lot of it is reading about, dreaming, and strategizing the future of God’s church here at West Side. A lot of it is going to the hospital and visiting those who are sick. A lot of it is much more than I care to share here. In no way am I complaining about my job. I love those aspects, but most of them do not require me to use my hands. Even though I am not good at it, I love to build things. I love to mow grass. I love to care for landscaping. I love to tackle projects around the house. For the first year and two months living here in Lebanon, Crystal, Alivia, and I lived in a tiny apartment. Living in that apartment was horrible for me. If something broke or needed improving I had to call the complex to have a maintenance man come take of it. Now that I own a house, I am the one that gets to do those things. I am loving it. I also can tell that some of the spring in my step has returned. My batteries are being recharged. I titled this post New Years Resolution. It is that time of year to make those things. While I have never been big on making a Resolution, I think this year I might. I am not going to make the proverbial resolution to loose weight (While I certainly need to do that). I am going to make the resolution to make sure I am recharging my batteries. My well has been empty for a while now. I need it refilled. I am making strides in the working with my hands department, but I have a long way to go in the spiritual department. I plan to again use this blog as a place to share my thoughts. But for me to be able to do that, I need to be filling the well and charging the batteries. I am going to use this blog as a barometer of my spiritual health. If my well is dry then there won’t be any post on here, but if it is active, then you know I am recharging in many ways. Over the next year you may also see this blog change. To be honest I do not know what I am want to accomplish here. It may just be a place where I journal. It may just be a place where I share my thoughts about church, life, and growth. Who knows, but I encourage you to help me keep accountable as you watch me recharge and fill my well over the next year. Here in South West Ohio fall has come in full force. Despite the lack of rain over the past few months we have been blessed with a wide range of fall colors. One thing I love about this part of the country is we have the privilege of experiencing all four season of the year. Each season has something different to offer and experience. The cold nippy wind of winter along with a fresh blanket of snow provides a clean pure earth. The warm, pleasant breeze of spring, with all the flowers, the smell of fresh cut grass, reminds of rebirth. The hot long days of summer, with the wind whistling through the trees, makes you long to be outdoors spending time with friends and family. The changing of the air, the bright array of fall colors, brings a warmth, yet a chill, returning families to the indoors, brings with it a sense of comfort and strength. Over the past few weeks I have felt in my own life that I have been going through a change in season. At times I feel I am walking hand in hand with God. I feel like I have God in my thoughts continually. I am in his word. I am praising him through song. I am somewhere in my head sharing my thoughts, my likes, my dislikes, my excitements and my heartaches. I am using tools to study his word in ways I have never done before. I am striving for his church in ways that cannot be stopped. But then, something outside my control enters in, and that season begins to change. Then I go through a time where I feel distant from God. I am not in his word, unless teaching or preaching. I am not picking up commentaries/study aides, unless in preparation for a lesson. I am not spending time in prayer, unless leading one for a class or group. I am not spending time in worship, unless on Sunday mornings. Then out of the blue my heart breaks. It is much like the heart break I have felt when breaking up with a girlfriend. You know the deep pit in your stomach, the knot that ties up deep inside, the feeling of being all alone, the feeling of hurt that just changes your entire demeanor and attitude. Your outlook on life quickly becomes different. This feeling exist because in a way you are breaking up with God. You are feeling lonely, your attitude is affected, and you are hurting because you are separated from the one you care about so much. But we have an amazing promise. As Joshua was preparing to take over the leadership role of Moses, God gave him this promise. “The Lord himself goes before you and will be with you; he will never leave you nor forsake you. Do not be afraid; do not be discouraged.” As a follower of Christ, I have that promise too. The writer of Hebrews reminds his audience of that in 13:5. In my seasons of separation from God, he has never left nor has he stopped leading. It is during these seasons where his leadership picks up. It is during these seasons that he uses his spirit to gently nudge me, to remind me of the relationship we have. It is during these seasons that he breaks my heart for him. I thank God for constantly being there. I thank God that he continues to nudge me, even when I do a horrible job of living for him. I thank God that he still uses me for his service. So what do your season of life look like? How does God nudge you to do something you should be but are neglecting to do? 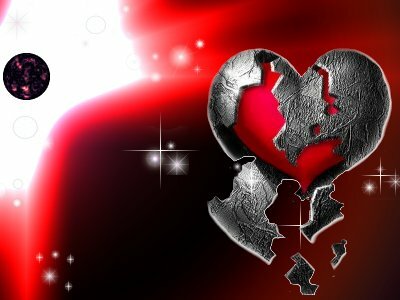 How does God use his spirit to break your heart? On Sunday afternoon my wife was on her Facebook reading the postings of many of her friends when she came across one saying, “Praying for MACU.” MACU for those who do not know is Mid-Atlantic Christian University, the place where my wife and I met and the college I graduated from. The Facebook status left both Crystal and I intrigued so I began scanning Facebook for some sort of clue to what was going on. Since I could not find out anything more on Facebook, I called my good friend Robert to see what he knew. What I soon found out I was not prepared for. On Sunday afternoon just before 1:00 a male student shot and killed another male student in his dorm room on the campus of MACU. This news took me by surprise. When I called Robert I did not expect this kind of news, or even this kind of tragedy to ever take place on that campus. Had there been disagreements on campus before? Certainly. Had their even been physical fights on campus? I am sure there have. But to have something like this, one student taking another students life, I just did not expect. Because of these events, and me now living so far away, I have spent the past four days glued to the internet. I have been logging onto Wavy TV 10’s website multiple times a day, I have been watching my Facebook for updates from current and former students, as well as college faculty and staff, and I have been checking my email every time it dings to see if it is another update through the Alumni news. While I have been a person addicted to the news for a good chunk of my life … I spent an afternoon as a high schooler watching a house fire on Fox News that was taking place in California … I watch tragedies for hours on end just waiting to hear that new piece of news that is so few and far between … this week the news has just drained me. I am left today with no drive, no motivation, just sitting in my office struggling to focus and be productive. Then I found this video; a video about people doing the right thing; a video about people stepping away from their capitalistic conquest to help their competition in their hour of need. What took place in the dorm at MACU on Sunday was a horrific loss of life, and unfortunately a time when the shooter was not acting with the love of Christ. But then to find this was an uplifting insight into who God calls us each to be. God calls us to be agents of love. The reason for Christ was because of the love God had for us. God loved us so much that he choose a people, the Israelites, to be his instruments in bringing into this world his son Jesus Christ. Christ came to die so that we may have life. God has given us the indwelling of his spirit. With that spirit living inside of us, we are then to reciprocate that love to all of mankind. We are to be agents of love. Would you please continue to pray for MACU as they are going through one of their toughest and most emotionally draining times in the history of the school. MACU is a place I hold near and dear to my heart. It is a place that has trained so many preachers, teachers, youth ministers, and lay leaders for the work of God’s kingdom. I pray that these past few days will only work to strengthen the school and it focus on ministry. I also ask that you pray for both families of those involved. For the family of the victim, that they will find peace and forgiveness. For the family of the shooter, that they will remain strong, that they will seek God, and they will be the support their son, brother, and grandson needs them to be. For the shooter, that he will find peace, that he will find restoration in his heart with God. In 2003 when I graduated high school the state of Ohio had a requirement that all students put together a portfolio. In the portfolio we had to include our high school diploma, a resume, some references, as well as some of our writing assignments done over the course of our senior year. I decided I would put my best pieces of work into the portfolio. I was very proud of what I created. For some reason the portfolio made it into my office when I was in NC. As I have moved it has continued to travel with my office books. I don’t remember if it was when we were dating or since we have been married that my wife first looked through this piece of work. When she first looked at it she quickly noticed that my writing was horrible. Not only was my punctuation horrible but I butchered almost every grammar rule in the book. Looking back at the portfolio, I now ask the question, “How did my 12th grade English teacher allow me to put this crap in there?” Now I know I am not the world’s best writer or someone that a lot of people who pay money to read, but I have improved greatly. Knowing where I started from and where I am today, now gives me the opportunity to poke fun. My wife has been dealing with some issues producing milk for our child. Through the frustration she has been driven to start her own blog to release some of the tensions. You should all check it; read from her fingertips the ups and downs, the joys and sorrows, and the learning opportunities of being a first time mom … crystaldawson.blogspot.com. But here is where I get to poke fun. I checked the blog out today and noticed that she broke many grammar rules. I immediately texted her this … “Don’t ever make fun of me for my grammar. Just saying!” (Because of the conversation proceeding she would not take that text in a negative or harsh way. Just saying). It was only her first post, and she was caring for our daughter and doing other things, but now she has lost all rights to get on me. I love her very much and am very proud of her as a mom. I am also glad she is looking to use the blog as a release. Check it out, comment on her post and support her in amazing ways. If you have been reading my blog for any amount of time you have noticed that there has been a sudden drop in blog post. The drop was from daily post for a Bible reading, to doing it few and far between, and then in June it just stopped all together. There are several reasons for this. I will explain them below. I started this blog to share my thoughts on life and ministry. I also wanted it to be a place where I could communicate with the members of my congregation. I decided last year to make this a place to do a Bible reading guideline from. For the first five months of the year this went really well. Then around the time Alivia was born I kind of stopped doing it as regular. Maybe it was because life got really busy, or maybe I lost my drive. I think both can sum it up. Life got busy as any parent out there knows. Not only did I have the responsibility of helping Crystal with our daughter, but I also had all the responsibilities at church. Summer was quickly approaching and that means busy times for churches. West Side is no different. But something also happened. My drive for the blog was waning. I realized that most of my post we becoming very redundant. I was repeating myself each day having a hard time of being creative and different. The pattern began to be hit or miss and then in June I just decided to stop all together. I needed a break. I needed to step away and get a new perspective. While I am not ready to start back with the Bible reading today, it will be back very soon. I am excited to see what God will teach me in the next couple of weeks. During the silence on the blog God has been working in different ways in my life and I am excited to share them with you. Keep checking back to see what new things God will be sharing through the blog and my life in the coming days. Today’ we begin the book of Philippians. Paul is writing to the church he helped to start in the Roman Colony of Philippi. Philippi in many regards is a retirement Colony. Men who served in the Roman military would often get property in or near the town. They are very up on how the Roman world functions. When Paul writes to them he is on house where he access to the Imperial Guard (Caesar’s version of the CIA). While the verdict is still out, this is more than likely the house arrest he served waiting trial before Caesar. Paul begins the letter in today’s reading (Philippians 1) by sharing with them how much he longs to be with them. He sees the church at Philippi as his partners in ministry of the gospel. The idea of a partnership in ministry was new to me until I entered ministry. In the church I grew up in we did not do much with other churches. When I was young our church was smaller, and we would from time to time go and worship with East Forty. But as we grew, our connections with other churches began to decrees. It was not until college, and until I started working in ministry that I truly saw what Paul cherished. What I saw in NC was the churches worshiping together. What I saw in NC was the churches joining forces to minister to their congregations. But you know, what I still did not see in NC was the churches joining together to partner in ministry. They met together to fellowship and worship, but not much advancement of the gospel was taking place. When I moved to Virginia basically the same thing took place. The churches got together to worship together, fellowship together, but there was no coalition to advance the gospel. Now I know our churches do work together in many ways. We support many of the same missionaries; we come together for fellowship and from time to time join forces on a single project. But what if we were to practice what Paul cherished? What would our world look like if the churches in our area, Southwest Ohio, came together on a regular basis to advance the gospel? What would that partnership of ministry look like? I think this is something I am going to bring up at our next Ministers Breakfast. I want to look at ways we can partner together to advance the gospel. While fellowship and worship with our sister churches is great, what are we doing to advance the partnership of ministry? What can we do to bring to the gospel to the world in a more powerful way than each of us can by ourselves? In the church we are to live in harmony. We are not to get into quarrels with each other. We are not to get in quarrels with the world. We are to be light, we are to be love, and we are to be peaceful, praising God in one accord. We are to submit to one another. What have we done my heart cried out! Does the church we know today, does the church we see in history resemble the church that Paul described Christ giving to us? I do not think so. Over the course of time our human hearts, minds, and hands have really blemished the church. Over time we have sent men on Crusades who have done some wicked things. Over time the church has persecuted people to death for witchery. Over time the church has spilt into many different groups because of arguments over doctrine and understanding. Over time man has thrown into the mud something pure, beautiful, and holy. My heart breaks for what man has done. So how can we restore the church back to the purity that Christ presented her with? We can begin by applying the passages listed above; be imitators of God, Live as Children of light, praise God together in one accord, and submit to one another. Paul says something powerful in his writing in today’s passage (Ephesians 3). Paul says that it is “by the gift of God’s grace given me through the working of his power” … “This grace was given me: to preach to the gentiles the unsearchable riches of Christ, and to make plainly to everyone the administration of this mystery.” Basically Paul was saying, I have been given grace so that I can preach the gospel of Jesus Christ to the Gentiles, so that the love of Christ will not be held up, but be made plain to everyone. Do you ever look at the grace you have been given in the same light? Do you see your salivation, your freedom in Christ, your removal of sin, your promise of eternal life in the prescience of God as a gift of grace you must share? I believe that is an attitude we are supposed to have. God did send Christ to save just one man he sent Christ to save all mankind. You having that gift of grace should want to share it in fact be compelled to share it. So how do you do at that task? I have really been enjoying the passages we have been reading. It has been a great discourse of Paul’s theology on faith, grace, salvation, and justification. Today’s reading (Galatians 3) is another strong reminder of some of those things. Over the past two weeks, Marty, Larry Holmes, and I have been working on a sermon series we are going to be doing at the first of next year. I am really excited about the series we will be doing and the life transformation we hope comes along with that. While we have planned out the first part of the year, we have continued the planning and have the majority of 2011 planned out. There are two different camps out there that believe differently on sermon planning. Here’s my deal friends … I am the type that loves to plan things out. I love the fact that I know what we will be preaching on in the upcoming year. I love the fact that as I read stories, as I watch things on TV, as I serf the web, I can be filling away illustrations that might fit with the upcoming messages. And I also know that none of this is set in stone. The messages aren’t written, just planned, they can be changed if something changes. But you know, I believe that when planning these things out the Holy Spirit is right there in the planning. This past Sunday Marty preached on “Why do bad things happen to good people.” As he was writing one of his points, he received a phone call from his daughter with the diagnoses of his 3 year old grandson’s problems. It was then the Holy Spirit revealed to him his participation in the planning of that sermon some ten months before. Here’s the deal, in today’s reading Paul opens up by asking how we received the Holy Spirit; was it through faith, or through observance of the law. The answer is it was through faith. When we practice things in faith, God will allow the Holy Spirit to work things out according to his purposes. My illustration of sermon planning shows that. When we plan in faith, God knows what going to happen, and he uses that planning to meet the current needs of the congregation. When we act in faith utilizing the Holy Spirit, God will work in ways that meets our current needs. We may not see it, we may not understand it, but God is allowing our faith and the work of the Holy Spirit to do great things. I know I’ve seen it, and you probably have to. 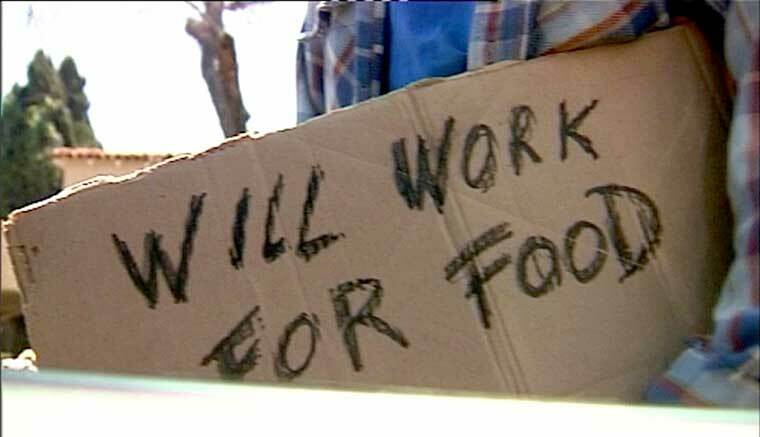 You’re driving down the road, or leaving the parking lot of a shopping center, and there one the corner is a man or woman standing with a sign asking for help because they are out of work and out of money. I know my reaction to that is to do nothing. I sit in my car looking forward, thinking the whole time I cannot wait for this light to change. And when it does, I pull away trying my best to not think about it anymore. Why do we do that? Maybe it is because we have had a bad situation happen when trying to help. When I was in high school there was a man who would stand on two different corners of the same road holding the familiar sign “will work for food.” One day a colleague of mine with another lawn service asked the man if he wanted to run one of his weed eaters for a couple of hours and the man replied, “Well I cannot do any physical work because I have back problems.” Now I do not know if that was the truth and I am not here to judge the man, but that response to his sign can be something that turns people away from helping. Another time I was in Washington D.C. with some friends. For our Western Civics class we had to pick an art museum to go through and then write a report, so my friends and I selected the National Museum of Art to. Our hotel that weekend was several blocks from the National Mall in DuPont Circle. So to get from the hotel to the Mall we decided to ride the subway. All we had on us was $20 bills and at that time they would not work on the subway. So we went into Walgreens to make change. As we were going in there was a man outside the door asking for a handout. The cashier could not open her drawer to make change without a purchase so we bought a box of snack food and gave it to the man outside. When we gave him the box of food I remember his reaction all to well. Instead of thanking us he began to curse at us and complain about what we gave him. Now I realize we were in the wrong. We should have bought him something with substance, but his reaction would have been enough too cause one to never help again. So why do I say all of that? Well today’s reading (Galatians 2) reminded me of something I as a Christian need to do a better job of. Paul is being sent out by the Elders and Apostles in Jerusalem. They are blessing him on his mission to go to the Gentiles and preach the gospel. As they do, they asked one other task … “All they asked was that we should continue to remember the poor, the very thing I was eager to do.” From this we learn two things … remember the poor and be eager to do it. So, do you do a good job at remembering the poor? Do you help those standing on the corner as you drive by no matter their reaction? I know I need to a better job of this. It is funny; lately this has been something really on my heart as I have seen more and more people in need. So how can we do a better job? What are some ways we could help those in need? What are some ways we could bring a little light to those who are in darkness? I have been around the church my entire life. There has only been one period in my life where I was not as dedicated as I should have been, and that was missing a Sunday night or Wednesday night here or there. With that background being shared, there has been a church situation that has bothered me for years. If you have been around for a while you have heard the things that cause churches problems … “Choosing the color of the carpets,” “choosing the style of the worship,” “the clicks that form in a church,” and the list could go on and on. These things are not important, and are things that should be considered disputable (Check out yesterday’s post to see my thoughts on that). Did the message of those verses wring out to you? We who are strong should bear, have patience, have endurance, and have encouragement for those who are weak. We are there to build them up. We should not be doing things to please ourselves; that is where the fights over carpet color and style of worship come into place. When we focus on the weaker brother, or even the person far from God, we are not thinking of ourselves, we are thinking of them, so that they may be built up. How do you do at that? Is your focus on yourself or on the ones further from God? You see we have been given a spirit of unity from the one who provides the strength and encouragement so that we can bring him praise as one united front. We are called to accept one another, so that we can bring praise to God. What is the highest form of praise? Bringing people further from God through a maturation process to where they are close to God walking with him day after day. It has been a long time since I have read the book of Romans the way I am doing so now. I am almost kicking myself for not studying it like this in the past couple of years. Today’ reading (Romans 14) really reminded me of that. I love how this passage begins with the word of Paul … “Accept him whose faith is weak, without passing judgment on disputable matters.” Sometimes I think many of our arguments in the church are over disputable matters. Friends, we all come to church at different levels in our Christian walk. Some of us have been in the church our whole lives, we have spent years studying the scripture, and some of us might even have some college background in our study of the word. Others have come to the table at a completely different level of maturity. Some may have come from a background that was weak in teaching the scriptures’. Some may be new to Christianity and have little knowledge of God’s word and his teachings. We must remember to accept the brother or sister who is weak. It is our job to teach, guide and correct. That is how you more than likely became a stronger brother. But when it comes to areas were there is disputable knowledge, those are areas we must learn to not pass judgments, where we must act out of love towards others. A couple of weeks ago in our small group we got into a discussion about eschatology. Myself and one of the group’s members are on completely different sides of the table on that particular subject. However, because of the love we have for each other we did not get up demanding that one of us was correct, on the other hand we discussed peacefully and without passing judgment on each other. Why was that? Because it is a disputable matter! It is not something we should wage war over. In the end while we did not agree that friend and I enjoyed a nice time of fellowship afterwards. So how do you handle being in the prescience of a weaker brother? How do you handle yourself when in a discussion on matters that is not set in stone, matters of opinion? Continue reading the rest of Romans 14 and Paul gives some pretty good answers. Today’s reading (Romans 13) brings some challenging words in today’s political climate. Paul commands us to submit to the governing authorities. We know this is not a suggestion but a command because of his use of the word “must” in verse one. Paul also tells us that he who rebels against the authority is rebelling against what God has instituted, and thus we can assume rebelling against God. Now you might be asking, or even screaming … “What is going on in Washington and in political circles all around the country is not right.” Maybe you sit on the other side of the fence and are pleased with what is going on in political circles. You might also be saying … “Paul does not get what we are going through, if we are going to change things back we must rebel.” Friends, Paul’s words were probably just as challenging to the people of his day as they are to you. The world Paul lived in was ruled by the Romans. Now if you were a Roman citizen things were pretty good. However, corruption ran through the political realm then just as it does today. The group Paul is writing to is a group of Christians living in the capital city of the empire … Rome. At this time the Christians are not well liked. This is near the time Nero, the present Emperor is accusing Christians of burning down the city. Persecution and heat is coming on the Christians from their rulers and authorities. Paul’s words to submit would have had the same challenge to them as they may to you. So, if you are unhappy with the government, or you become unhappy one day, what can you do? Well you can begin by thanking God that he allowed you to live in a country where you can still makes changes to the law without rebelling. At this time there is still a process that we can go through to disagree, to change laws, and even the constitution if you are unhappy. But what would be wrong is rebelling. What would be wrong is refusing to pay your taxes. What would be wrong is harming someone, lashing out, or doing something illegal to make your point. Rebelling against the authorities is rebelling against God, even if you are doing it in the name of Christ. Something stood out to me in today’s reading (Romans 10). I might be taking this in a different direction than many of us have thought about so please be patient and follow along. In our culture today there are many things being debated in the political realms. Whether it is health care, immigration, terrorism, or taxes, there is probably something that gets your blood boiling. In the past couple of weeks our terrorist awareness has been on heightened watch because of the Times Square failed attack. The other night I was watching CBS’s NCIS LA with my mother-in-law. They were trying to track down some Muslim terrorist that had escaped federal custody. When they caught them they were on a bridge surrounded by the authorities. When one man looked into the van through binoculars he noticed that they were doing something … that something was praying. He knew what that meant and ordered everyone near to get back, and soon after the van exploded. Something caught my eye in today’s reading that made me think about those two events … one true life and the other fictional. In the reading Paul writes … “For I can testify about them that they are zealous for God, but their zeal is not based on knowledge.” Here Paul is talking about the rejection of Christ by his fellow Jews. Their rejection of Christ is based on their faith in God as they have always known it. They were not willing to accept the coming Messiah. I think we can learn a great lesson in the way we approach people who want to do harm to America and its citizens (This does not make right what they do or have done, and it does not change the punishment they should receive). One thing we must remember when dealing with people, whether they are Christian, Jews, or even Muslims, they are zealous for their faith. 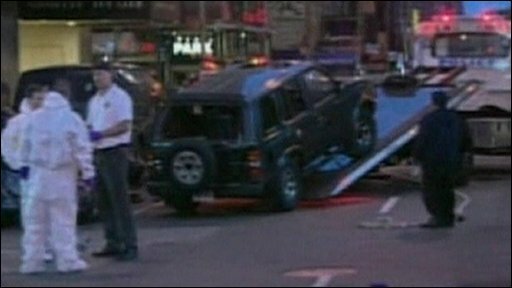 The man in Times Square, the men praying the in the ticking time bomb, were zealous for their faith. They believed they were carrying out a mission for their god. My heart goes out to people like I described today. They believe what they are doing is right, that they are following their god. But I know they are wrong. I know they are way off the mark. I know what their eternity is. I know they need Jesus Christ. So when we remember that people of faith are zealous for their faith our approach to evangelism must change. So my question for you today is … If you believe faith in Christ is the way to true salvation how does your approach to evangelism change from someone with no faith to someone who is zealous for their faith and their god? Thank you for being patient with me. On Thursday morning my wife and I went to the hospital to begin the delivery process. I tried to do the Bible reading but my mind had to many things on it to focus properly. I hope you did the reading and plan to pick up with today’s reading. Today’s reading (Romans 8) is packed full of some awesome information shared by the Apostle Paul. Paul reminds us that when we are in Christ there is no condemnation, when we are in Christ we have the gift of the Holy Spirit, and when we are in Christ we are more than conquerors. You see friends these all tie together in an amazing way. Christ came and defeated death when he rose on the third day. No longer did sin bind him to the grave, and because of that he has the ability to bring us along. No matter what eschatological view you hold to, in the end, if you are in Christ you have conquered death. When you stand before the judgment throne of God Christ stands on your defense. There is no condemnation when in Christ. So today is delievery day for baby Dawson. I have tried reading the Bible reading (Romans 5) several times and nothing is comig to me, my mind is not as focused as it normally is. If something pops into my mind I will try and post something later. Hopefully sometime today we will have the priveldge of meeting Baby Dawson. I ask that you keep Crystal in your prayers as labor begins. Today’s reading (Romans 4) is a continuation of yesterdays reading. Obviously the people of Rome whom Paul wrote this letter to were struggling with the proper observance of the Law of Moses. Paul has heard about this and is trying to help them in their understanding of the Laws place. You see many Jews who became a Christian believed that they had to still follow the Law of Moses, and they even tried to force Gentile Christians into following it. Now there is nothing inherently evil about the Law, in fact it is very good for us to know. The Law reveals what is detestable in the eyes of God, which points to sin, and shows us whom God desires us to be. However, when we seek salvation through the Law we are wrong. So Paul uses Abraham as an illustration. You see Abraham lived somefour hundred years before the Law was even given to Moses. He was not saved by the Law, he was saved by his belief in God … “Abraham believed God, and it was credited to him as righteousness.” Basically what Paul is trying to show the church in Rome was that their observance of the Law, while a good thing, was not a saving thing. Paul is saying … “There is nothing you can do to save yourselves. 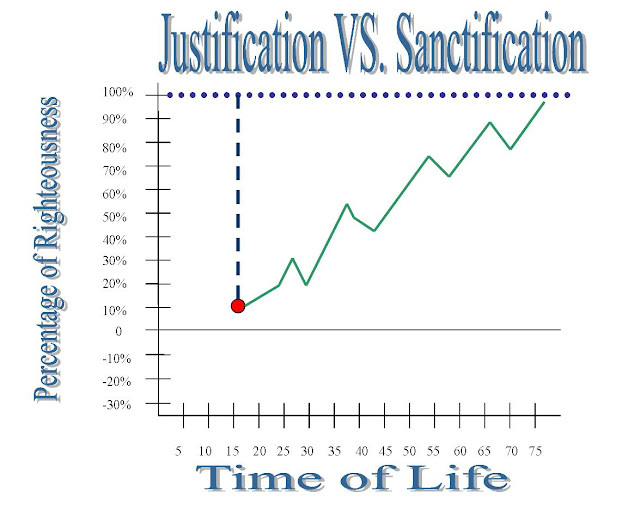 It is the power and work of Christ that brings you salvation.” Remember yesterday’s post on Justification. So what does that mean for us … we must remember that there is nothing we can do for salvation. Salvation is a gift from God that we are able to freely accept from him. It is our choice to accept it. It does not matter how good of a life you live, unless you accept Christ as your Lord and Savior there is not salvation. But that also does not mean that because we have been justified we should live a life less pleasing to God. If we are truly grateful for the Salvation we have that should spur us to please God in a form of thanksgiving for the salvation he has offered. Let me ask you this, does your life reflect a heart of thanksgiving for the salvation you have been given by God for you faith in his son as Savior? If not then maybe you need to reexamine you heart! Today's Bible reading is down below. My friend Greg emailed me a link to this video. This is what is all about - check it out. Cardboard Testimonies 1/10/10 from Biltmore Baptist Church on Vimeo. I have seen several videos like this one produced by this church. Each time I watch one I sit in my chair wiping away the tears streaming down my face. 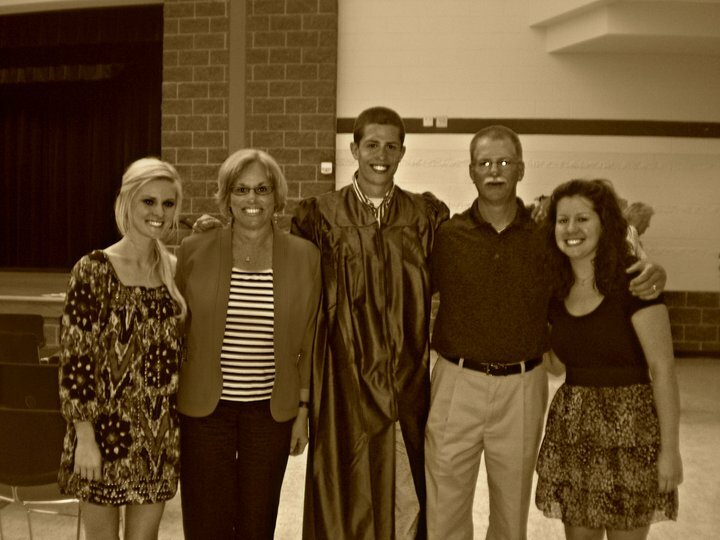 Man, this is what it all about ... life change. I hope this video touched you like it did me. There are several reasons people give for not attending church. Some say that their parents drug them to church as a child and they hate going now. Others say that the church is full of hypocrites and they do not want to be around a church full of hypocrites. This is the excuse people give that really sticks in my craw. Why is that? Well it has several reasons. One is that we have done such a poor job of sharing with others what the church truly is. Because of this many people view the church as people proclaiming one thing and living another. When I hear this excuse I want to scream out … “I am totally cool with the church being full of hypocrites. Jesus did not come to save the righteous but the unrighteous. It is not the healthy that need a doctor it is the sick. The church is not for perfect people it is to perfect people.” Friends, the hypocrite reason is not a reason at all, it just shows the failure of the church to truly evangelize people and share what it is all about. Now you, if you call yourself a Jew; if you rely on the law and brag about your relationship to God; if you know his will and approve of what is superior because you are instructed by the law; if you are convinced that you are a guide for the blind, a light for those who are in the dark, and instructor of the foolish, a teacher of infants, because you have in the law the embodiment of knowledge and truth – you, then who teach others do you not teach yourself? You who preach against stealing, do you steal? You who say that people should not commit adultery, do you commit adultery? You who abhor idols, do you rob temples? You who brag about the law, do you dishonor God by breaking the law? In that section Paul says a lot. But basically what he says is this … “If you claim to be a teacher, a person leading the blind, you must also teach yourself.” Now in that he does not say that we must be perfect, but we must examine our life. When people say the church is full of hypocrites I personally hope they are right. If we were all righteous I would be out of a job because Jesus work on the cross would be useless. The church is to bring people into a life changing relationship with Christ. We are not perfect people, but people who should be working to perfection. If we preach and teach against such things, we must examine our lives closely. Remember who Paul said would inherit eternal life … “To those who by persistence in doing good seek glory, honor and immorality, he will give eternal life.” If you are a hypocrite then that is ok if you are seeking by persistence the glory, honor, and immorality that only God can provide. Today’s reading comes to us from Proverbs 13. In many of the proverbs in the reading there is advice about money. When you take some of those as stand along passages they might give the idea that money is an evil. Proverbs such as … “A man’s riches may ransom his life, but a poor man hears not threat” … or … “One man pretends to be rich, yet has nothing: another pretends to be poor, yet has great wealth.” By themselves these passages can make wealth and money seem like they are evil. However, if we take the passages surrounding these and throughout the entire chapter we have a completely different picture. Look at these verses … “Every prudent man acts out of knowledge, but a fool exposes his folly” … “He who ignores discipline comes to poverty and shame, but whoever heeds correction is honored” … “A poor man’s field may produce abundant food, but injustice sweeps it away” … “Dishonest money dwindles away, but he who gathers money little by little makes it grow.” Now these passages stand in contrast to the ones quoted before. So where should we stand on the issue of money? Money is must in our society. Without money we cannot function. Without money we cannot participate in society. Money is how we purchase homes, food, clothing, and transportation. Without money we would not survive. However, we must have a proper understanding and appreciation of money. I love what Paul writes in 1 Timothy 6:10 … “For the love of money is a root of all kinds of evil." Some people, eager for money, have wandered from the faith and pierced themselves with many griefs.” Money is not evil, did you read the words of Paul … the love of money is a root of all kinds of evil. Money is evil when it drives you. Money is an evil when it consumes your life. Money is an evil when you have lost the prudence, wisdom, and righteousness it takes to handle it. So when you examine the way you handle money how do you measure up? Hopefully it won’t be a hard pill to swallow. When Paul wrote the book of Romans he had yet to visit the city of Rome. He had spent a lot of time traveling throughout their empire but he had not been there in person to see the church there. That is evident in today’s reading (Romans 1). We also see today the reputation of the church in Rome had … “First, I thank my God through Jesus Christ for all you, because your faith is being reported all over the world.” The church in Rome had a famous faith known throughout the churches of the world. So how is your church known? Would outside churches, people in your community, people across your state know and brag about the faith of your church? From today’s reading we see this as a noble thing for other churches to see in us. What about the way we view other churches where we do not attend? Paul also prayed for the church in Rome even though he wasn’t a part of their gathering. Do you pray for other churches? Do you view them as your churches competition? Or do you see them as partners in carrying out the gospel of Christ? I know in my own life I admire the work of several different churches. The ministry and the work they are doing is just through the roof. In many ways I pray for the continued success of these churches … Savannah Christian Church, Southeast Christian Church, Laurel Avenue Church of Christ, North Terrace Church of Christ, Philippi Church of Christ, Towne South Church of Christ, Verve, Forefront, and Momentum Christian Church. At the end of today’s reading (Mark 16) we get another rendition of Jesus’ famous great commission. In this one he shares “Go into all the world and preach the good news to all creation. Whoever believes and is baptized will be saved, but whoever does not believe will be condemned.” Last night we had in one of the missionaries we support to speak to our congregation. We had with us Mike Flinchum who ministers in Chang Mia Thailand. Mike is living out the great commission by going into parts of the world were the gospel does not have as strong of a hold. In his presentation he showed us pictures of several baptisms, the life transformation of the people there by Christ, and a lot of the daily living. I really enjoyed hearing Mike share the work and ministry he is doing in Thailand. Last night since he was here I cancelled my Wednesday evening youth group and wanted the teens to sit through the presentation. However, the guys mowing our grass at our apartment complex hit a gas line and I went home to check on Crystal who was not feeling to great. When I got back the presentation was started and many of the youth of the church were wandering around. With their parents there I did not say anything. But after the service I continued to think about how so few of them did not listen to the presentation and just wandered around the church grounds. The more I thought about it the more vexed I got. 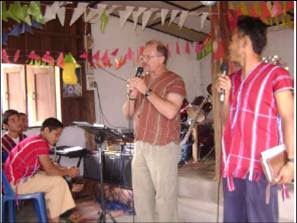 Here was a guy who is doing ministry in another part of the world, and our teens were not in there to hear it. I know some of the responsibility is mine for not saying anything, but I also am saddened by the parents for not making their children go listen to something that could be life changing. They had them participating in praise team practice that was going on, let them leave because it was not “Youth Group,” or just let them roam outside. What Mike and his family are doing is living out the great commission in a powerful way, and our parents did not encourage their children to hear that message. So where have you failed to be encouraged by another brother in Christ? What teaching opportunities have you missed sharing with your children? I hope and pray we do not continue missing those opportunities. So you may have noticed the blog has a different look. I am looking to expand it and make it something a little more. The daily Bible reading will still be posted, and I will still be giving my thoughts. However, I am beginning to add some pages. As my life changes in the next couple weeks I want to be able to document it in a new way. Stayed tuned for the changes. About me - This will give my bio - not that it is anything overly great. Thank you for checking in and reading the bible post each day. I hope you all getting something good out of it. Today’s passage (Mark 14) was fairly long. In my estimate they could have added another chapter to the book of Mark, however, the organizers may not have wanted an uneven amount; who knows. Actually it is all one chapter because there is one main theme. The story begins by a woman pouring a years worth of wages of perfume over Jesus. Those eating dinner rebuke this woman, Jesus praises her. Following this Judas enters his agreement to betray Jesus. Jesus is then eating the “Last Supper” with his disciples. During this meal he institutes the very thing we celebrate each Sunday morning with each other. Jesus then shares how two of his disciples will react; one will disown the other betray. Following dinner they make the trek to Gethsemane. Here Jesus’ soul is overwhelmed and he needs to spend time in prayer. He knows his final hours are upon him, and asks his disciples to keep watch. At this they begin to fall asleep. Physical need has overcome their spiritual need. Finally after hours of prayer Judas shows up with his mob to arrest Jesus. At that everyone deserted Christ and left him in his chains with the Sanhedrin. After his arrest he appears before the Sanhedrin. It is during this scene we see Peters own betrayal of Jesus. It is here that Peter denies knowing Jesus three times before the rooster crows. Did you get the theme of this chapter? It opens with Jesus being honored in a magnificent way and his disciples not getting it. Throughout the chapter Jesus disciples rejected or betrayed Jesus for physical needs … Judas for money, those at Gethsemane for sleep, Peter for pride or even possibly to save his life and reputation. If the men Jesus spent three years with could not stand up to Jesus at a challenging time, what chance do we have? I think we might have an even better chance, because we have the help of the Holy Spirit. So my question for you today, when your faith is rocked or your God questioned, do you rely on the Spirit to pull you through or do you succumbed to the things of the flesh and deny your creator? Today’s reading (Mark 13) is one of those highly debated subjects in Scripture. There are many ideas out there as to what Jesus is talking about. Some believe it shows how thing are going to take place when the time is ready for Jesus to return and call his children home. Other believe that this is talking about the beginning of the tribulation. Still other believe this has already happened in the destruction of Jerusalem by the Romans in A.D. 70. I tend to stand on the last statement that Jesus is talking about the destruction of the temple and of Jerusalem. Since we were not there we may never fully know, however, there is still something we can learn. No matter what view you hold about eschatology (The study of end times) there is one constant theme you see in all the theories … we do not know when it is going to start. That being the case we must always be prepared. Jesus ends the discussion here with this “What is say to you, I say to everyone: ‘Watch!” That is something we must all do. Watch for the day and the hour is unknown. Watch for Christ return will be like a thief in the night. Watch for the end will be sudden and abrupt. Watch that your life and doctrine are in accordance with God’s will. Watch that you have received the grace and forgiveness that only comes through faith in Christ. No matter where you stand on your understanding of this passage, it is certain that you must continually watch!